The police have secured evidence showing that two of the three brothers currently in custody for the premeditated murder of 44-year-old Christos Michail in Limassol were in possession of a large sum of money and a quantity of drugs following the murder. The interrogators of the case are confident that Michail’s killers took a large sum of money and a quantity of cocaine from the victim’s car, which is why they disregarded the €4,200 and one gram of cocaine that was found later in the victim’s pockets. 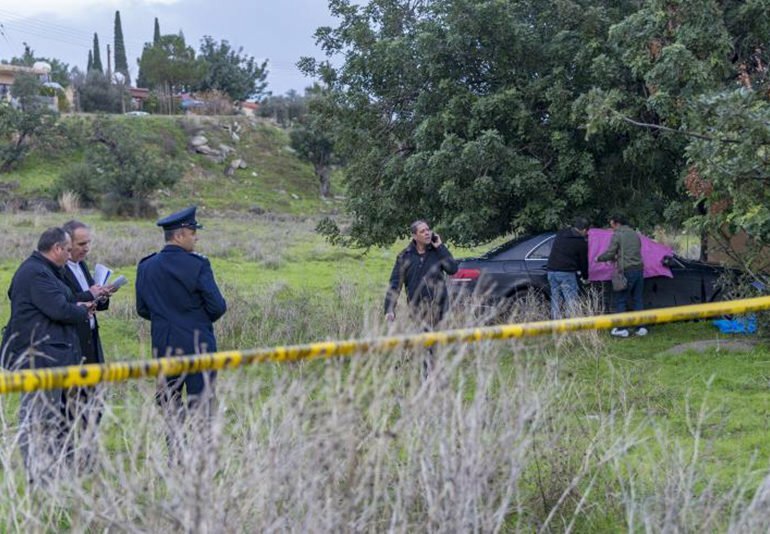 Michail was found dead in the driver’s seat of a car with bullet wounds to the neck and chest on January 14 in a field in Kato Polemidia, for which three bothers from Limassol, aged 28, 19 and 16 were arrested. The three brothers were remanded in custody for eight days on January 17, while their remand was renewed for another eight days on Friday. Witness statements from acquaintances of the suspects have claimed that on the day after the murder, the brothers went to a drug pick-up point “loaded” and “with stuff”, meaning drugs. As the suspects have admitted, the motive of the murder was robbery. Specifically, the two brothers, aged 28 and 19, claimed that they planned the murder on Saturday January 12, and on Sunday night they set up a trap for the 44-year-old in the presence of their underage brother. Police consider the details of the case clear, and interrogators have a complete picture of the events of the night of the murder, though investigations are ongoing so that the case can be tried in court. The only piece of the puzzle that remains to be found, the police said, is the location of the murder weapon, which has been determined as a hunting rifle, and of the victim’s mobile phone, that could provide the police with important details.